In 2009, Pat worked collaboratively with poet Liz Cashdan and sound artist Jessica Rowland for the whole of August in Skagastrond, a remote corner of Iceland. Using a theme of digital notebooks* they recorded their impressions – visuals, words, sounds. The most complete collaborative cross disciplinary piece made during the residency was ‘Skagastrond’. – a multi media production performed for the community at the end of the visit. While Pat was working on the visuals, using drawings and photos, Jess worked on the sound sequence, using natural sounds, flute music and Liz reading her poem. The community itself became involved by contributing their autographs and voices which were later incorporated into the work. 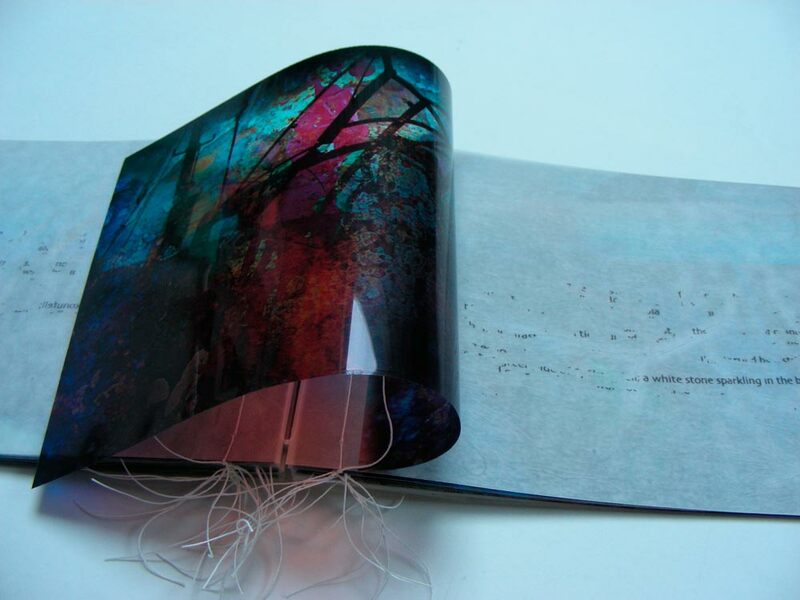 Images: Transparent acetate copies, overlaying text pages of tissue, encased in plastic laminate pockets. In the following two years a number of books evolved. The most ambitious was a unique two volume edition of all the images and poems, Iceland Stories. 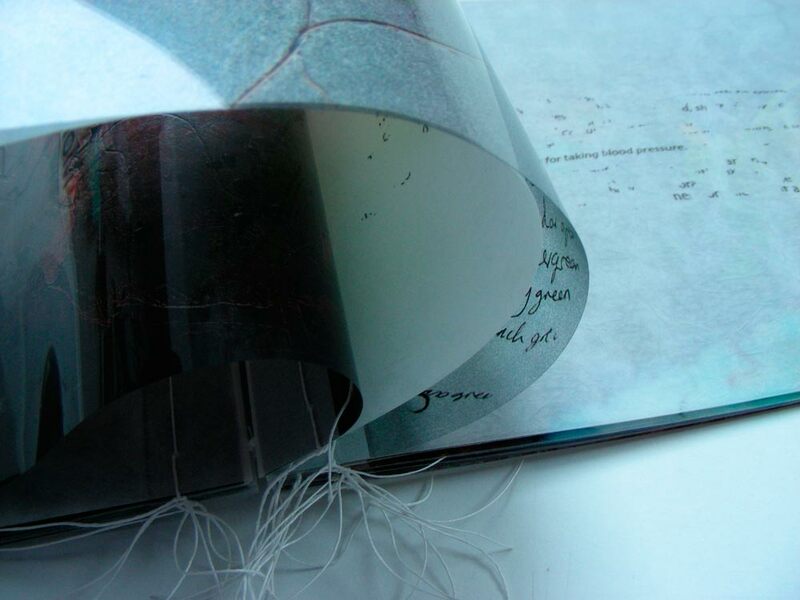 A selection of smaller collages and poems are also to be found in ‘Iceland Notes‘, A new version of ‘Iceland Stories’ has been published in 2012 as a soft back book, then as an enhanced ebook. In this collection of books about Iceland, different visual and narrative stories interweave, interconnect and are continually deconstructed and recreated – emerging in new work – evolving – sometimes hidden, while fragments of myth or image might be repeated within new sequences – inevitably changing and being changed as they become part of a complex layering of words, colour, texture and sound. *Unfortunately, ‘Digital notebooks’ is no longer available.